(VEN) - Hanoi was neither the place where John Ramsden began his career, nor the place where he fell in love at first sight, but this senior diplomat has a passionate love for Hanoi, which remains unchanged today. Ramsden, a British foreign service officer, was posted for several years working in Africa and Europe, and was sent to Hanoi in 1980 as Deputy Chief of Mission at the British Embassy in Vietnam. Ramsden has a passion for photography and other forms of visual arts and taking photos was the way he discovered Vietnam and life in this country. He walked around the streets of the capital, rode a bike to adjacent villages, and went sightseeing by car on weekends, taking a camera with him at all times. Nobody prevented him from taking photos, but he tried to avoid attention. He kept his camera in a bag and snapped photos as quickly as possible without making any technical adjustments. As the British Embassy in Vietnam had no darkroom for photo development, Ramsden had to go to Bangkok to develop film. He got some photos printed in the UK to show his friends. Ramsden left Vietnam in 1983 and served as a diplomat in other world capitals. While pursuing his career in London, Berlin, Geneva, and Zagreb, he kept taking photos. In 2010, he organized a small exhibition of his photographs at the Museum of East Asian Arts in Bath to celebrate the 1,000th anniversary of Thang Long-Hanoi – Hanoi’s Imperial Citadel - and was very surprised at the reaction of the Vietnamese community in the UK to the photos. He thought of “repatriating” these photos and met a group of young Vietnamese professionals in the UK (VietPro), and a group of Vietnamese artists and architects in the UK (KREU) to discuss the idea. Their response exceeded Ramsden’s expectations. In cooperation with VietPro and KREU, he organized a photo exhibition entitled “Hanoi: Spirit of a Place” in the UK in May 2013. The exhibition displayed a period of post-war hardship. 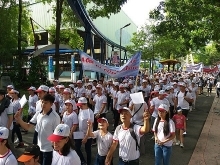 The organizers hoped the photos would be exhibited in Vietnam, too, and their hope was fulfilled. 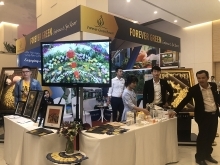 In October 2013, an exhibition entitled “John Ramsden and Hanoi - Spirit of a Place” was held in Hanoi where it was received with enthusiasm. 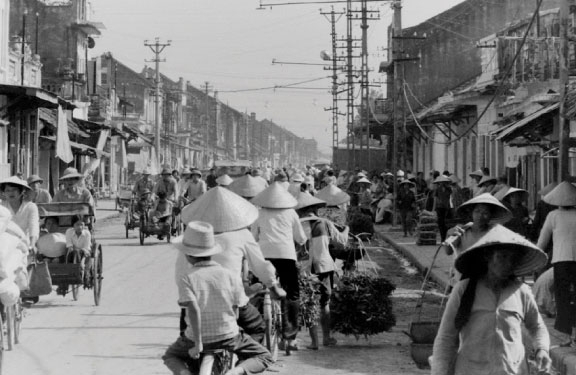 His photos of Hanoi won a prize in a contest held the same year. 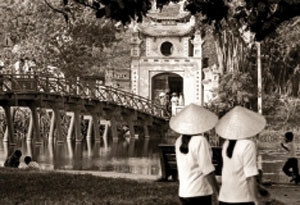 Coming back to Hanoi after three decades, Ramsden was amazed at the changes in the city and its admirable growth. 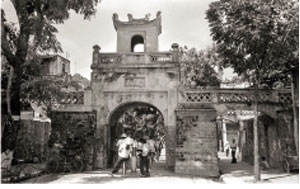 In October 2016, the photos taken by Ramsden more than three decades ago were collected and printed in a book titled “Ha Noi mot thoi” (Hanoi: Spirit of a Place). Ramsden’s Hanoi collection makes no efforts to embellish a period fraught with hardship. He knows the pictures evoke mixed feelings in everyone who lived through this period and experienced its tough times. Apart from the hardships and difficulties, Ramsden still finds something very simple and poetic in Hanoi of that time. Ramsden says he has great respect for the people who underwent the trials and tribulations of war and its aftermath, and laid the foundation for the prosperity that their descendants enjoy today. 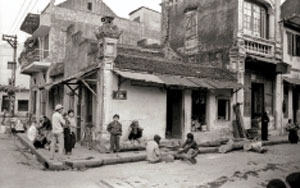 society in the period prior to Doi Moi (renovation).